CONCORD, NH (Sept. 2017) - The Greater Concord Chamber of Commerce hosted both members and the public at a luncheon forum with Taylor Caswell, the first commissioner of the Department of Business and Economic Affairs on Thursday, Sept. 14 at the Grappone Conference Center in Concord. More than eighty Chamber members including event sponsor Capital Regional Development Council joined members of the public to hear Commissioner Caswell’s vision for New Hampshire's new department, as well as his ideas relative to attracting and retaining both employers and a talented workforce. 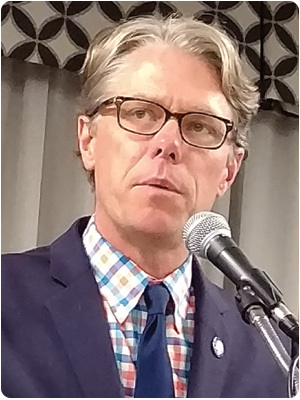 Over the course of an hour, Caswell shared that he plans to lead Business and Economic Affairs, which includes the Divisions of Economic Development and Travel and Tourism Development, in its mission to build economic opportunities in NH by collaborating with existing authorities like Community Development Finance Authority, NH Business Finance Authority and Concord Housing Authority as well as other state and local agencies and organizations. He emphasized the importance of tourism, workforce development, and the need to offer workforce housing so businesses will consider relocating to NH and existing businesses can grow with increased demand. Caswell said he is also eager to fill the position of director for the Division of Economic Development. Reporting directly to him, the division director will guide the BEA in “the development, oversight and implementation of a 10-year strategic plan aimed at enabling and expanding conditions for enhanced economic expansion within the State, including, but not limited to, coordination of business retention and expansion strategies; attraction and retention of workforce; leveraged partnerships to serve as development catalysts, and business marketing integrated with the Department’s Division of Travel & Tourism,” according to the BEA’s job description that closed to applicants on August 30th. 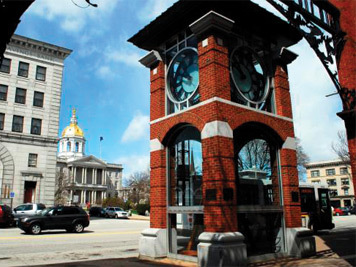 Caswell had high-praise for New Hampshire’s capital city and the leadership that went into reinvigorating downtown. Attendees were given the opportunity to ask Commissioner Caswell questions during a Q&A session. Inquires ranged from what the existing business community to do to support the new department, to potential development ideas in surrounding communities. Caswell encouraged attendees to email him other questions and ideas following the luncheon. “The Greater Concord Chamber extends warm thanks to Commissioner Caswell for making the time to meet with members representing the local business, civic and nonprofit community and for sharing the many ways Concord can continue to collaborate, grow, attract young families and employers, and prosper,” said Greater Concord Chamber of Commerce President Tim Sink. The Greater Concord Chamber of Commerce hosts monthly luncheon forums open to the public that focus on topics relevant to the Capital Region’s business community. 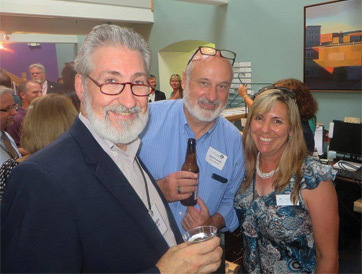 For more information about the Chamber’s event with Commissioner Caswell or future forums, please contact the Greater Concord Chamber of Commerce at (603) 224-2508, email events@concordnhchamber.com or visit www.concordnhchamber.com.